What Happened to Our Coastal Wetlands? Summer’s here! Well, summer was here. Hopefully, some of you enjoyed the season by heading to the ballpark, taking a nature hike, or spending a day at the beach. If you went to the beach, you may have seen different low-lying natural areas adjacent to where you caught those rays. These areas are known as coastal wetlands, and they provide many ecological benefits to society and the environment. Sadly, they are rapidly disappearing from our planet! In general, the lower 48 states lose 80,000 acres of coastal wetland each year. That’s equivalent to seven football fields every hour! Most of this degradation and habitat loss has been caused by human activities, such as wetland drainage and new development for residence or infrastructure. Almost half the US population lives on the coast, which increases the likelihood that those habitats will be infringed upon and degraded over time. What a Salt Marsh Does. A salt marsh is a coastal wetland that is flooded by salt water during high tide and drained at low tide. Salt marsh habitats provide food, shelter, and nursery habitat for many finfish and shellfish, including shrimp and blue crab, making the marshes vitally important for our fisheries, economy, and culture. According to the National Ocean and Atmospheric Administration, commercial fishing generated $208 billion in sales and provided 1.6 million jobs in 2015. Coastal wetlands also provide ecological services, such as protecting shorelines from erosion and improving water quality by filtering pollutants. Salt marshes act as a natural barrier to buffer wave action due to the marsh’s abundant floral community and complex root system. This is because marsh soil (also called peat) is like a sponge, and slows flooding by absorbing excess water, allowing sediments and other solids to settle out. Salt marsh flora also use excess nutrients (nitrogen and phosphorus) for plant growth, which reduces the load of nutrient pollution that makes its way downstream and into the ocean. Figure 1. Salt Marsh. Source: USGS. Aquatic ecosystems can be very sensitive to nutrients such as nitrogen and phosphorus. Too much can degrade an aquatic system by causing algae to grow faster that the system can handle. Large algal blooms can deplete dissolved oxygen upon their decay, leading to fish kills, while other algal blooms can produce toxins that are harmful to animals and humans. A viable solution to nutrient pollution (among other coastal issues) is coastal restoration projects. A restoration project is specific to the coastal area and the issues at hand. For nutrient pollution, a project targets the load of nutrients making its way into the system, thereby reducing the amount ending up in the aquatic environment. This resolution has economic incentives as well! Nitrogen pollution from fertilizers, fossil fuels, manufacturing, and other human activities cost the United States $210 billion annually. Nearly 75% ($157 billion a year) of that cost is attributed to fertilizers and manure run off! The increase in fertilizer use leads to greater levels of nitrogen run off that goes into aquatic systems, accidentally fertilizing algae in our water instead of fertilizing crops, and hitting the American wallet hard. Figure 2. Living shoreline consisting of marsh vegetation and hard substrate (presumably oyster reef). Source: NC Coastal Federation. Living Shorelines: New Name, Same Design. Researchers are looking to tackle nutrient pollution by restoring salt marshes in the forms of constructed ‘living shorelines’. This coastal restoration project reconstructs a salt marsh by planting marsh vegetation and laying down an optional fringing hard substrate, like rocks, cement, or natural oyster reefs. Living shorelines are also a nature-based solution, as opposed to grey infrastructure (seawalls and jetties), providing an environmentally friendly solution. While marsh vegetation likely uses excess nutrients for plant growth, living shorelines are also hotspots for a process called denitrification, where microbes remove nitrogen from the terrestrial and aquatic environment by turning it into a gas (N2). This is a two-for-one special for environmentalists, as it decreases the amount of nutrient pollution that ends up in our waterways, while restoring a coastal wetland! Figure 3. Map of four sampling sites identified by name and age, defined as years since living shorelines were constructed. Source: Onorevole et al. 2018. Figure 4. Seasonal nitrogen gas (N2) removal for each habitat at each site. Source: Onorevole et al. 2018. Researchers at UNC Institute of Marine Sciences recently conducted a study to evaluate how effective living shorelines are at removing nitrogen from the aquatic environment. Katheleen Ornorevole and colleagues studied four sites located in Bogue Sound in the southern Outer Banks in North Carolina. Each site was restored 0-20 years prior to the study as a living shoreline for other restoration purposes, allowing the team to see how effective living shorelines are over space and time. For one year, the scientists studied how much nitrogen gas was leaving the sediment in different habitat types at each of the research sites. The habitat types that were of interest included oyster beds, marshes, and sand flats. The team found that habitats of the living shorelines were not significantly different from one another, but that each contributed to the overall removal of nitrogen within the 20-year post-construction period. The results demonstrate an increase in nitrogen removal in every season during the first 7 years as a whole living shoreline structure (Figure 1). After that, nitrogen removal seems to plateau up to year 20. This validates that living shorelines are effective at removing nitrogen from a system, and that they work especially well in the short term. 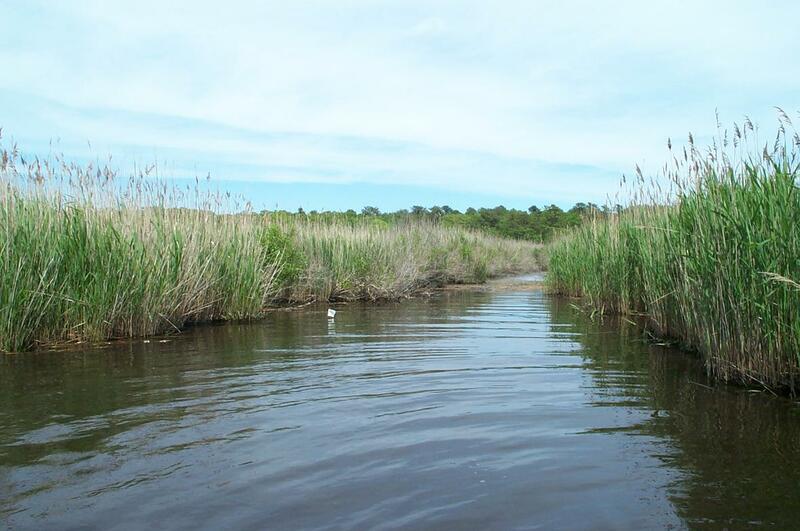 These findings are crucial to the restoration of our coastal wetlands, and confirm that salt marshes are an asset to our planet by acting as a tool to reduce nutrient pollution. In the same light, it demonstrates that a nature-based solution like living shorelines provide an effective, yet environmentally friendly alternative to many coastal challenges. Lastly, living shorelines will help to reduce the economic burden that nutrient pollution places on Americans each year. The irony in all of this is that we’ve had living shorelines all along! They’ve existed in the forms of coastal wetlands that have been drained, degraded, and built upon. If we focused our efforts on protecting and conserving our coastal wetlands, we may be able to reduce our coastal challenges all together. NOAA, Office of Habitat Conservation. “Coastal Wetlands: Too Valuable to Lose.” NOAA Fisheries website, 28 June 2018, https://www.fisheries.noaa.gov/coastal-wetlands-too-valuable-lose. NOAA. “What is a salt marsh?” National Ocean Service website, 25 June 2018, https://oceanservice.noaa.gov/facts/saltmarsh.html. Schechinger, Anne Weir. “Farm Nitrogen Pollution Damage Estimated at $157 Billion Yearly.” AgMag, EWG, 9 June 2015, www.ewg.org/agmag/2015/06/farm-nitrogen-pollution-damage-estimated-157-billion-yearly#.W40vEy3GxmA. USEPA. “Nutrient Pollution: The Problem.” United States Environmental Protection Agency website, 10 March 2017, https://www.epa.gov/nutrientpollution/problem. ← Building Barriers to Stop Sea Level Rise, What’s at Stake? Where will the tall trees grow? Cancer Particles in the Kitchen?